Staff at Kids 1st Rake Lane were keen to support Ollie and his parents when they heard that the family needed to raise £15,000 for a wheelchair that would allow Ollie to elevate and lower himself from sitting to standing position. 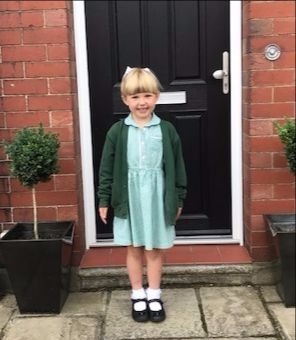 They originally wanted to join Ollie’s dad Rob on part of his 260 mile Northumbria Cycle Challenge but due to work commitments this was not possible, so they decided to hold their own event. Both Rob and Ollie joined the girls on their bike ride from the nursery. On 25 June, Ollie’s dad Rob, a police constable, will be cycling around 27 police stations in the Northumbria area. 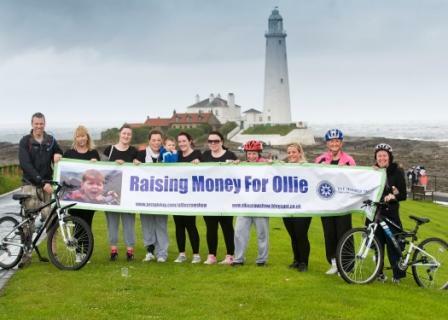 He hopes to complete the 260-mile course in 24 hours to raise money for Ollie. Anyone who wishes to make a donation can visit: justgiving.com/olliecrawshaw.